I never totally follow a recipe. (Maybe that's why this one gave me a little trouble and took a bit of experimenting.) It's the recipe for Cinnamon Applesauce Ornaments from Magical Mama Blog. I added nutmeg, cloves and allspice to Sara's ingredients, so it was super crumbly and difficult to roll or cut. I added water and then an egg and kept kneading until it became more smooth. A little water was mixed in each time I rolled out more dough. 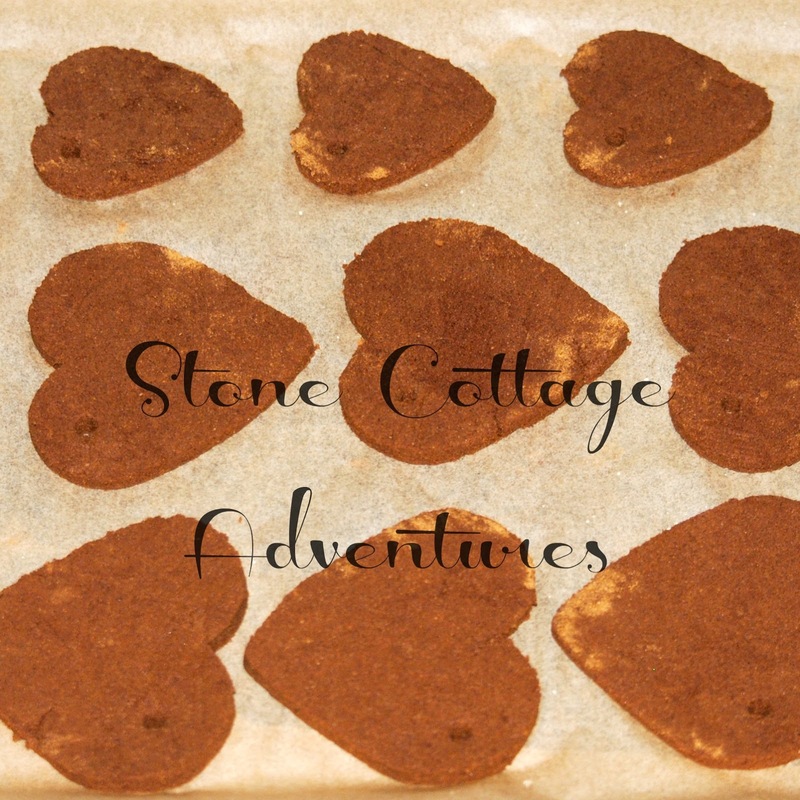 Using two sizes of heart cookie cutters and a drinking straw to punch holes on one side, these Valentines were shaped and placed on parchment paper. While they were in the oven, our home smelled AH. MAY. ZING ! Once completely dry and cooled, I used a paint pen to write names. Pink didn't show up well, but yellow did. You can see both colors on Lydia's Valentine. FYI... I would have preferred chalk, but it didn't work for me. Pressing lightly, chalk wasn't visible at all and I was afraid I would break the hearts if I pressed harder. Using brown craft paper for wrapping our gifts with bits of ribbon and lace for embellishing, we are just about ready for the celebration of love and affection! What is your favorite memory of Valentine's Day? I bet those sound amazing! I Bet those SMELL amazing!! Cute. That's a lovely alternative to more traditional tags, and I'm sure they smell wonderful. Thank you for sharing at The Really Crafty Link Party. Pinned! 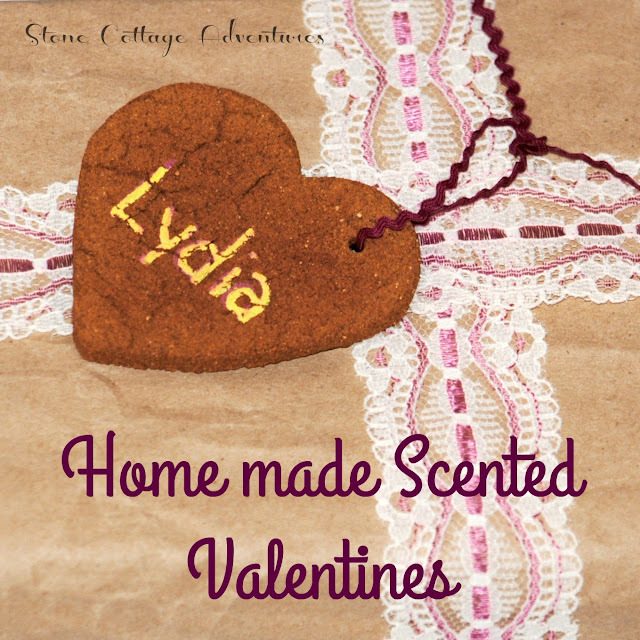 I made these years ago when my kids were small and they do smell terrific. I don't remember putting an egg into the mix, but that is a good idea. It probably helps to hold everything together. This is so cool and a very creative idea for Valentines! Great craft for kids, especially as teacher gifts. Visiting from Handmade Cards party. I made them once for Christmas. 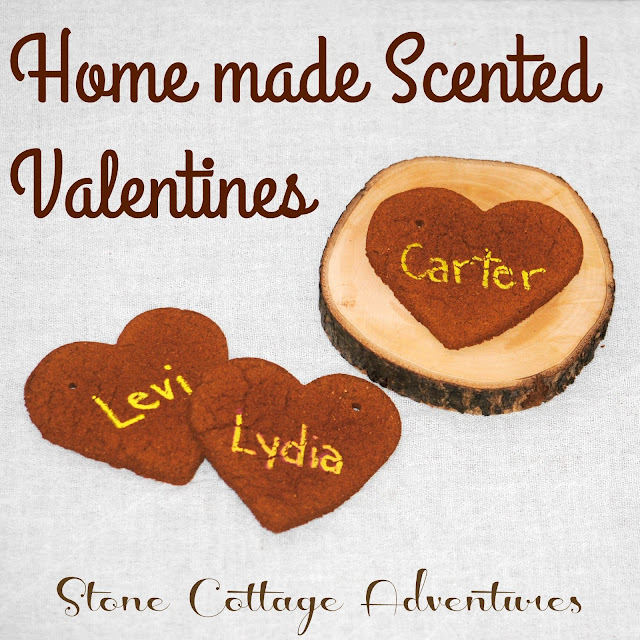 LOVE the idea of doing it for Valentines Day! 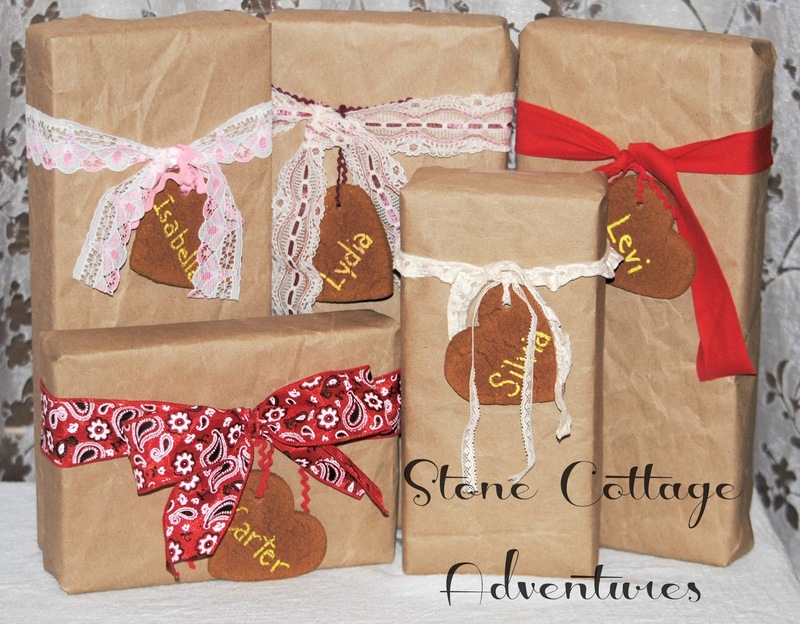 What a fun idea for gift tags, Marci. 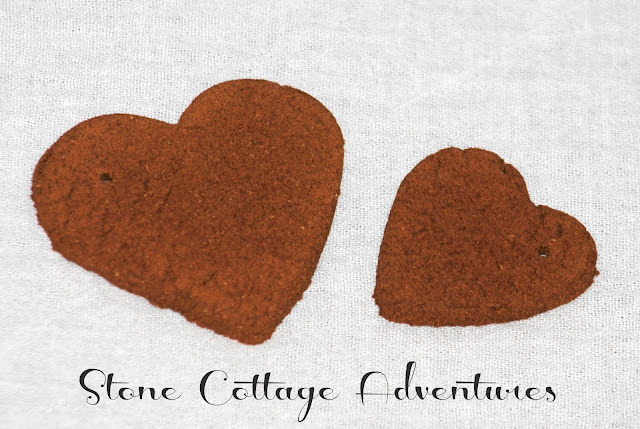 This is such a wonderful project Marci and look adorable as tags for your Valentine's gifts! What a cute idea! I am sure they smell AMAZING! So creative, thank you for sharing at the "Vintage Valentine" blog hop. These hearts are so cute and I bet they smell lovely. What caught my eye was the one that says "carter" since that is my last name. Hope you stop by Over The Moon tonight since you are being featured. I've done this a couple times - they smell delightful! Thanks for sharing with Party in Your PJs!